I first met todays heavenly human thanks to twitter, we began exchanging tweets, had heaps of friends in common & I had read much of their work but it was at this point last year that we met in real life. Andy dons many different hats but ultimately they sit on the same head, everything about this guy is to sacrificially serve, equip and build random people like me trying to make a difference outside of the usual patterns of church. 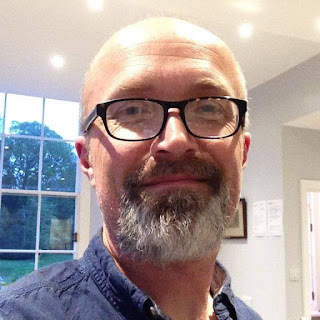 Officially Andy works with CMS as the pioneer hub co-ordinator for the South Central RTP, alongside teaching pastoral care and co-ordinates the student support. And by all accounts rocks at it! Outside of this though, like I said above, Andy spends oodles of his time connecting, encouraging and listening to randomers like me. He gets what it is like to be out on the edge, outworking our individual calls into the places and spaces least travelled and for this I will be eternally thankful. You too can benefit from his wisdom by following Andy on Twitter here you wont be disappointed! Before we met or even started chatting it was in the dark lit room in a slum hotel in the poorest post code in north america that I read Punk Monk and Red Moon Rising These books both resonated deep within me and made me feel like just perhaps to be a pioneer was a gift rather than a curse. They have kept me grounded and at times have kept me company in this funny little journey of life that is loving others as we've been loved.